It’s safe to say that it can be easy to get caught up in the waves that crash us to shore when we’re diving deep towards personal growth. Honest mistakes are something we all make, every one of us. Those of us that are harder on ourselves can have a harder time accepting those mistakes we make. We beat ourselves up, put ourselves down, and obsess over every little detail. Having patience and allowing ourselves to make mistakes is essential in any kind growth we are pursuing. Everything worth having takes time, and a lot of patience. It’s worth it to manage your anxiety the best as you can during these times. Failures tend to hold us back from ever really starting again. Remembering what the experience was like the first time we failed at something can be easily ingrained in our memory and he free driving force to what holds us back from ever moving forward. We have to be stronger than that and remember that everyone fails. Remember Thomas Edison? He made 1,000, yes you read that right.. 1,000 attempts at inventing the light bulb. And look at us now in 2019. That man accomplished so much for all of us, because he failed. Miracles really do happen and when you look for them, you will see them. Expectation setbacks are a definite flaw in my life. I expect so much of myself that it literally ends up hurting me. And I’d be lying if I said I didn’t let my expectations of myself hold myself back in my personal growth journey. When all of these other things that seem to be negative happen to us, it’s so much easier to throw in the towel. It’s easy to just give up and wither away rather than to stand up and assume the work that it takes to keep on growing. We speak negative to ourselves and to only listen to what our voices are telling us, because that’s what we’re most comfortable with. And we always want to do what is most comfortable, right? 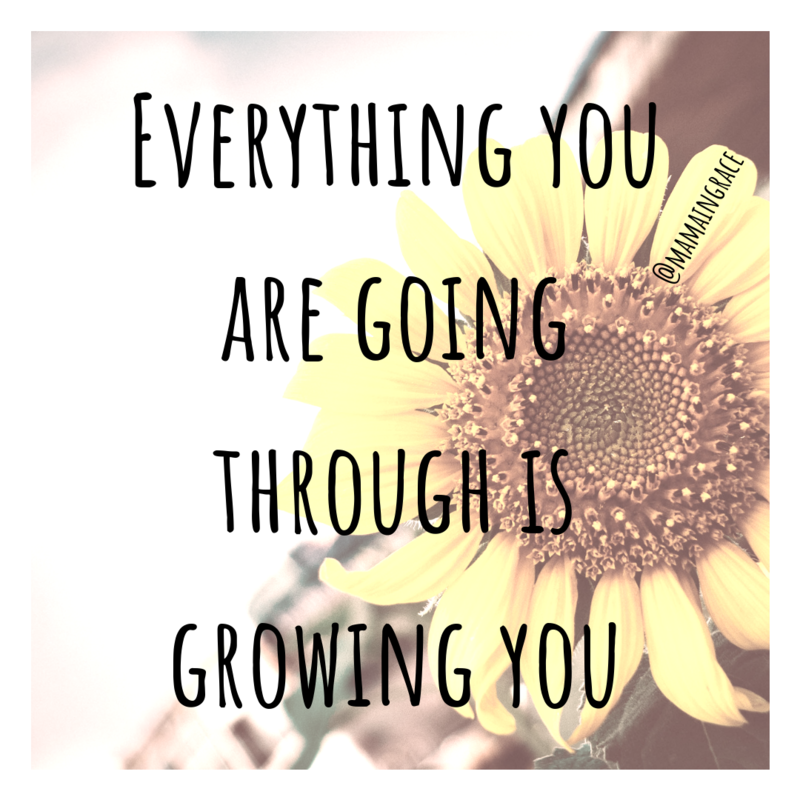 Growth doesn’t happen where it’s comfortable and we have to remind ourselves of that. We have to water our lives where we are starving for thirst. Self care, love, and patience for ourselves. Despite the anxiety and other setbacks. It’s time to make ourselves a little bit more uncomfortable and remember that sometimes the more that it hurts, the more that it’s working. Life experiences are the biggest part of our personal growth journey because no change can happen without experience. Every little thing that we go through is detrimental to who we become, because right in the moment of the happening we are becoming something new or different. The greatest thing about the whole journey is the experiences that go along with it. It’s becoming more frequent for me to learn something new and to move forward with intention when bad things happen rather than letting those bad things define me. I’ve found that I love myself and my life a whole lot more when I’m letting go of the negative things and enjoying life for what it is. When we let go, we allow ourselves to bloom. Very much so! Failures are bound to happen, it’s all about perspective! Thank you for the love! this is all so true. every time i fail i try and remind myself that that failure is what is helping me grow. Sometimes its easier than others. This post really resonated with me especially about the part of letting go of the negative to be able to enjoy all the good that comes out of it when you do. Thanks for sharing! it is amazing what can grow us. it comes when we least expect it! I love the idea of thinking of yourself as a flower that is ready to bloom or constantly blooming. When we move toward the positive and say goodbye to the negative forces in our life we can truly grow. This is so true! It’s important for use to remind ourselves that failures do NOT define us – they simply help us better ourselves and become the best version of ourselves. Thank you so much for sharing! This is a great, uplifting post to read right now, thanks for putting this together!